This list was compiled from proceedings of our Annual Communications as well as Installation programs. If there are any errors or omissions please contact us. Some group photos are missing. Any assistance in recovering them is greatly appreciated. Grand Bible Bearer …….. Feliciano Deal Cruz Jr. Junior Grand Steward ….. Richard O. Banner, Jr.
Schofield ……… Gerardo F. Biala, Jr.
Ko’olau ……. Gerardo F. Biala. Jr.
Ko’olau …………. James A. Sullivan, Jr.
Sr. Grand Warden …….. Charles L. Wegener, Jr.
Asst. Grand Treasurer ………. James Willig, Jr.
Grand Sword Bearer …………. 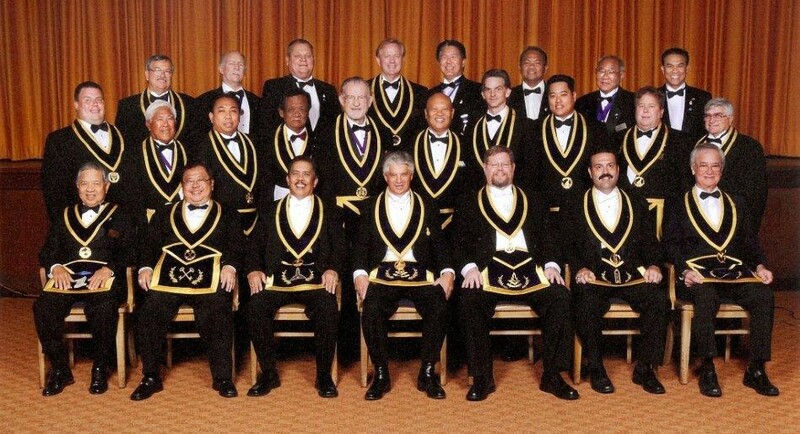 Serafin P. Colmenares, Jr.
Sr. Grand Deacon …………… James A. Willig, Jr.
Jr. Grand Warden ……… Charles L. Wegener, Jr.
Grand Master ……………………. 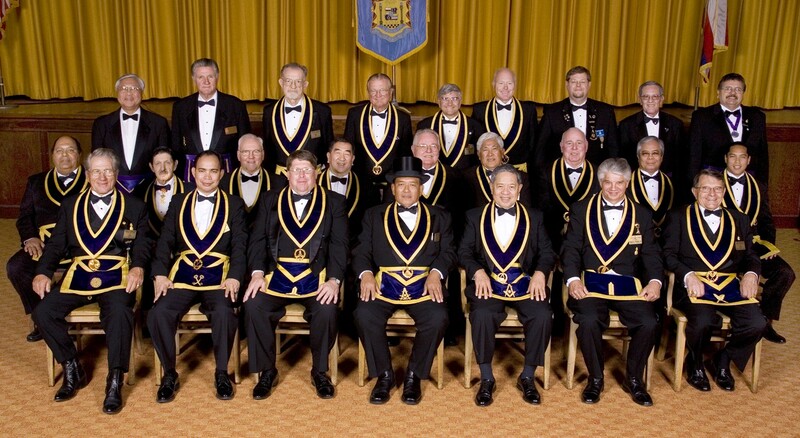 Raymond Wieckowicz, Jr.
Deputy Grand Master ……………… Raymond Wieckowicz, Jr.
Sr. Grand Warden ………………. Raymond Wieckowicz, Jr.
Grand Secretary ……………….. Mike Maklary (Resigned). Jr. Grand Warden ……………………………….. Raymond Wieckowicz, Jr.
Sr. Grand Steward …………………………….. Charles L. Wegener, Jr.
Grand Secretary ………………………………… Raymond Wieckowicz, Jr.
Grand Secretary ……………………. Raymond Wieckowicz, Jr.
Grand Sword Bearer …………………. Not a position at that time ? Grand Pursuivant …………………… Vacant ? Grand Secretary …………………………….. Raymond Wieckowicz, Jr.
Grand Marshal ………………………. 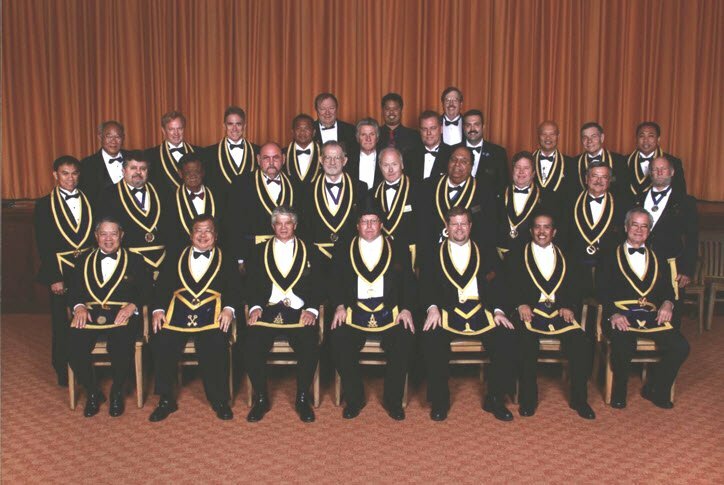 James A. Sullivan, Jr.
Deputy Grand Master ……………………………… David K. Lindsey, Jr.
Sr. Grand Steward ………………………………………….. James A. Sullivan, Jr.
Grand Master ………………………….. William K. McKee, Jr.
Sr. Grand Warden ………………………. 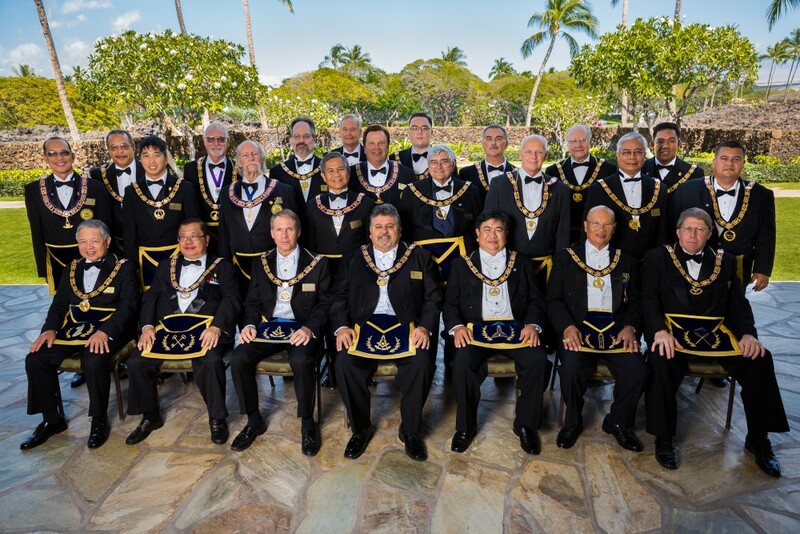 David K. Lindsey, Jr.
Jr. Grand Steward ……………………… John S. Moriki, Jr.
Grand Master ……………………………… William K. McKee, Jr.
Sr. Grand Warden ………………………….. David K. Lindsey, Jr.
Jr. Grand Steward …………………………. 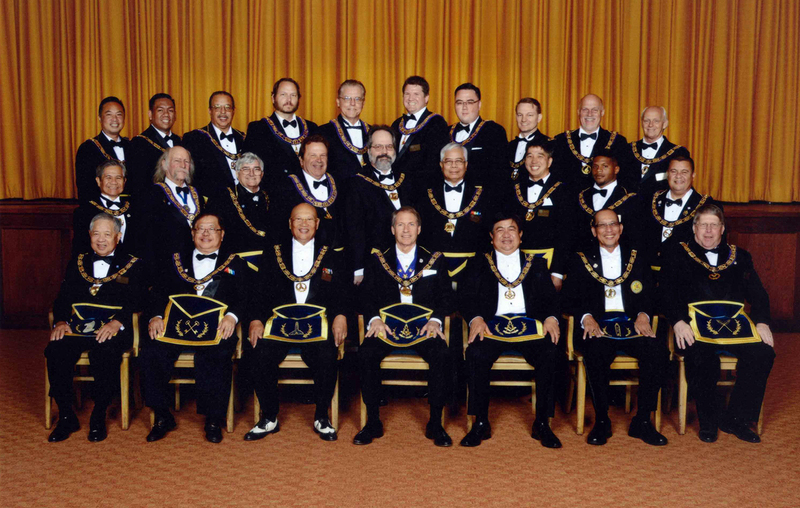 John S. Moriki, Jr.
Grand Master …………………….. William K. McKee, Jr.
Jr. Grand Warden …………………. 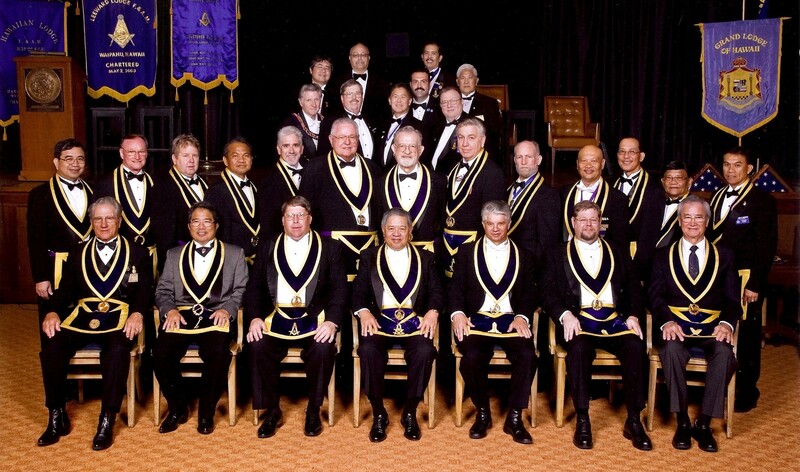 David K. Lindsey, Jr.
Sr. Grand Steward …………………………… James A. Sullivan, Sr.
Jr. Grand Steward …………………………… John S. Moriki, Jr.